This is the school for you if you are currently a judge of Basset Hounds or are considering becoming a judge. It is also an appropriate school for serious breeders and owner handlers who wish to expand their understanding of the Basset Hound. Basset breeders, owner handlers and judges will gain greater familiarity with the Basset Hound and how to prioritize virtues and weaknesses in this breed. In addition to the Self Correcting Quiz, there is a printable quiz on the Basset Hound Breed Standard that you may print with the print function key in the flipbook. This course is designed to familiarize you with some of the most important articles written about the Basset Hound. This program summarizes key anatomy concepts that judges & breeders should know and focuses on surface and skeletal parts of the dog within the context of structural balance. This Home Study Program is now available through the American Kennel Club's Breeders Education. Visit the AKC Website at http://education.akc.org/akcedu. The lessons are divided into two sections. It includes downloadable Bark Smart Cards like flashcards and practice exercise questions. You will need create a user name and password to log-in. T here is no charge unless you wish to receive a certificate from AKC for a passing score for $25.00. based on a Presentation by Col. Robert E. Booth. You may choose to watch this video in full screen format. Based on the official AKC Breed Standard, the official Judges' Education Seminar and the Pocket Guide to the Basset Hound, the Illustrated Standard is published with the intent to educate Owners, Breeders and Judges of our breed in evaluating the unique and essential traits of the Basset Hound. 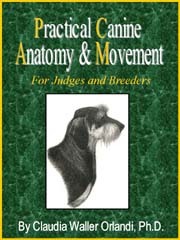 The Pocket Guide was designed to be a quick reference tool for judges focusing on the most important points most to consider regarding judging the Basset Hound. For more information regarding opportunities for Judges wishing to learn more about our breed, contact the current BHCA Judge's Education Chairperson. This information is available at www.basset-bhca.org. Thank you for taking time to learn more about this wonderful breed. Download speeds will vary depending on your internet connection. Copyright © 2015 - The Basset Hound Club of America, All rights reserved. Except as otherwise noted, do not reproduce, print, or copy the material contained within the website for any use.